An all-in-one workspace, Notion lets users write, plan, collaborate, and organize all their tasks and notes in one space. Notion's main selling point is an uncluttered design and lightweight editor that lets users focus on getting work done without interruptions. 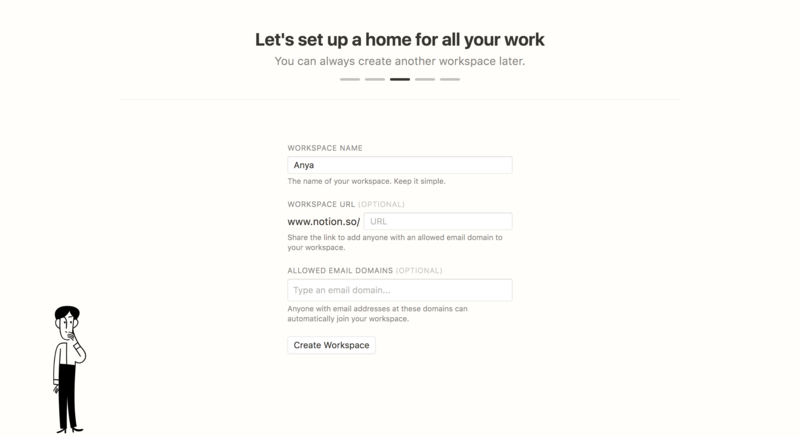 Although Notion's minimalist design is certainly a main attraction, providing new users with a whole lot of white space they have no idea how to use and organize can also be dangerous and even off-putting. To combat this issue, Notion guides users through a personalized onboarding process that sets them up with what they most need from the app right away. This onboarding process not only ensures that users will use the tool right away, it also increases the chances of them returning to complete more tasks, thus building a habit that will turn them into long-term users. 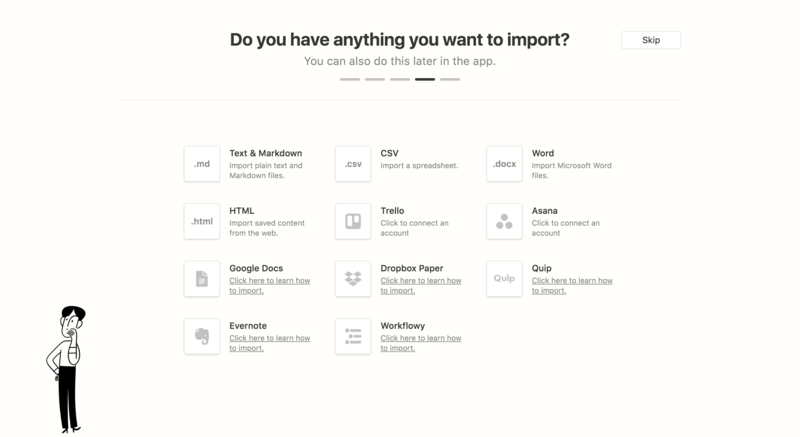 Throughout the setup and onboarding process, Notion maintains a clean, minimalist design. 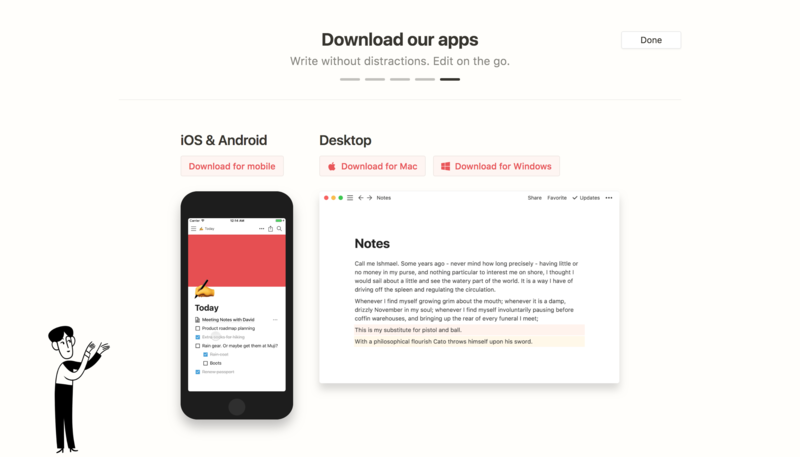 This reinforces the app's main promise to potential users: an uncluttered writing and organization space that won't distract you with unnecessary bells and whistles. 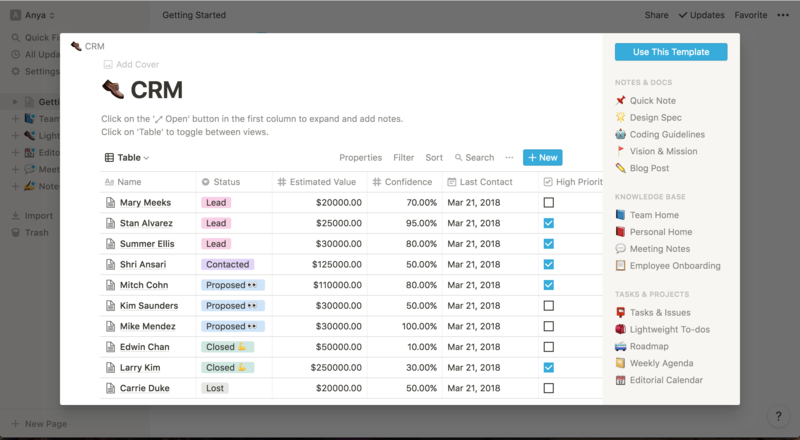 The setup flow accomplishes two goals: it allows users to personalize the workspace to their specific needs (depending on the function they'll use it for and whether they'll use individually or on a team) while also introducing them to the product's full spectrum of use cases, so they understand its overall capabilities. 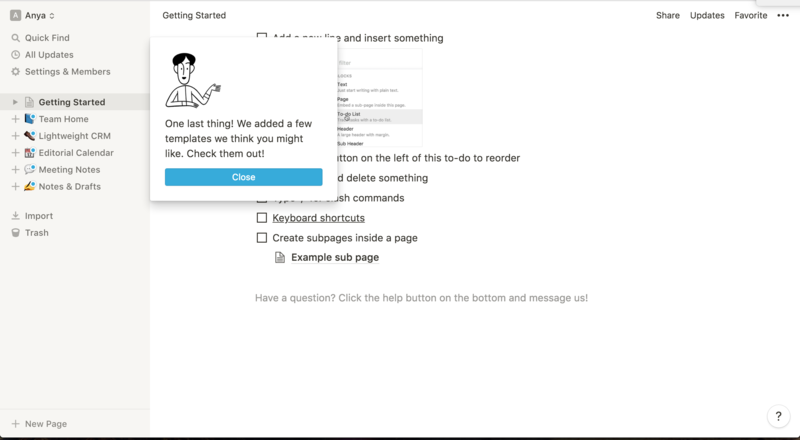 Once inside the app, users find an interactive list of tasks in their main window that they can begin checking off. 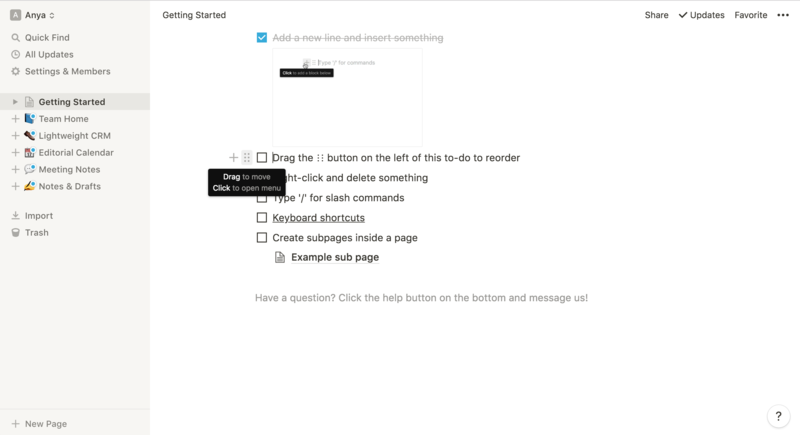 These tasks introduce users to Notion's main features and ensure they take their first action in the product. 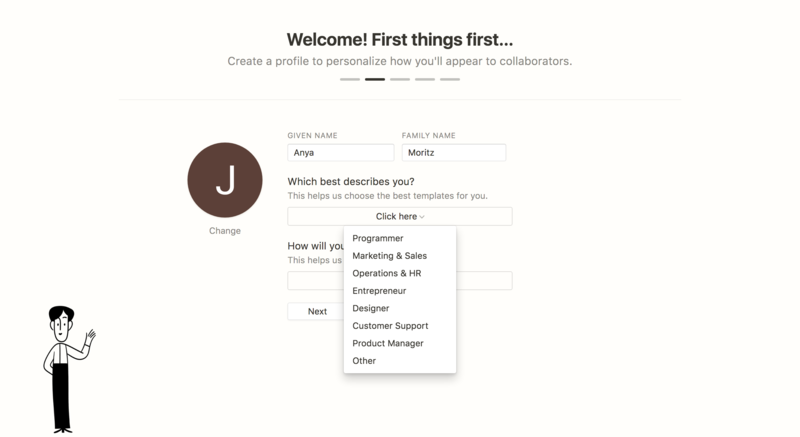 The pre-selected templates available in the left-hand panel reflect each user's setup preferences and showcase the product's more advanced uses. Users can use these to dive into more complex projects right away or as a way to explore the full range of possibilities offered by the visually lightweight but functionally robust product.